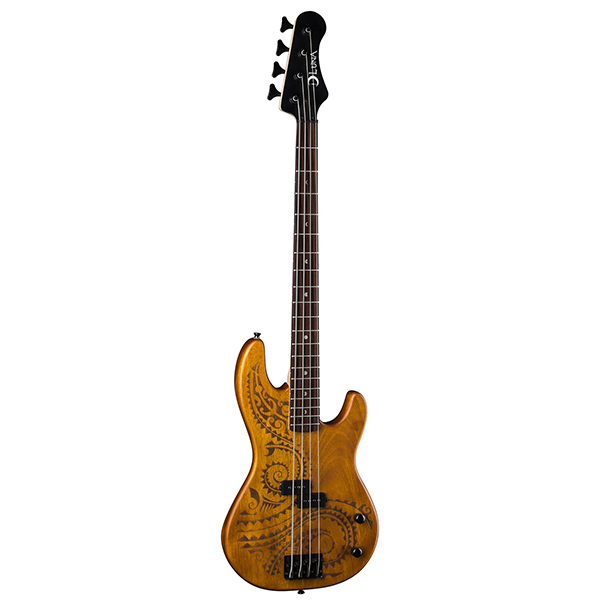 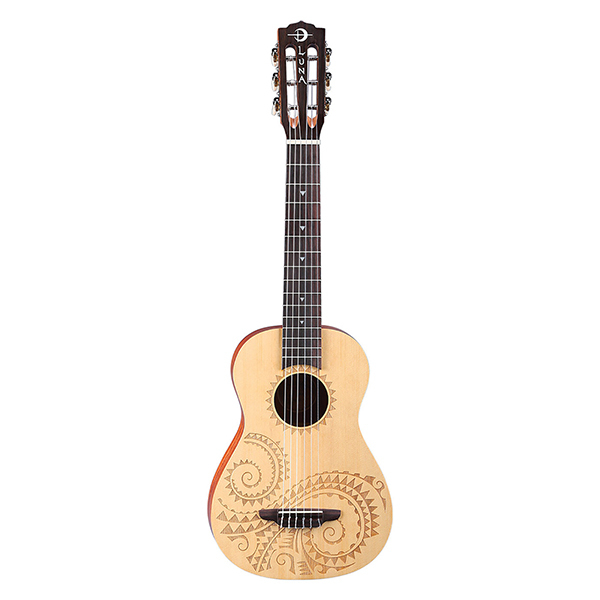 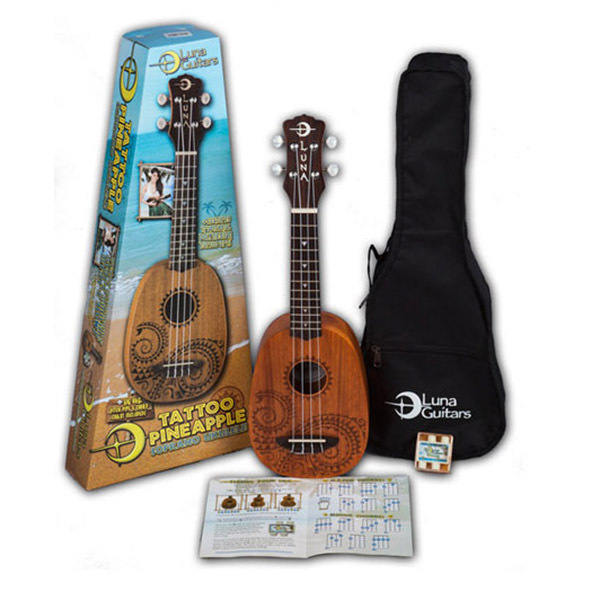 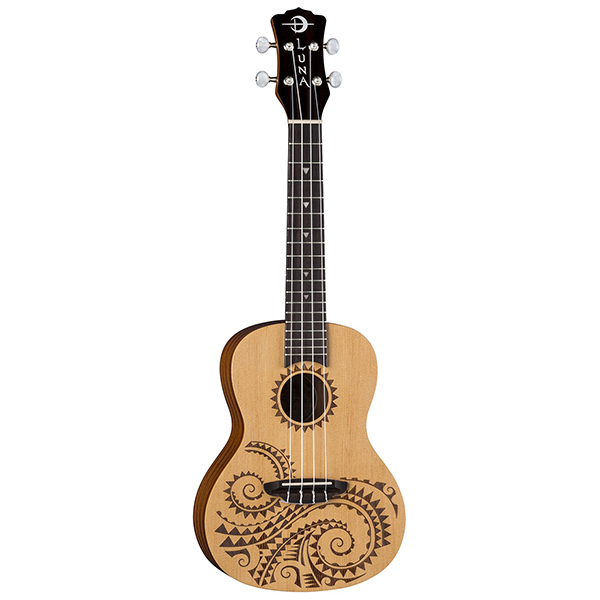 The Tattoo 6 String is perfect for any guitar player who secretly covets the portability & convenience of a uke. 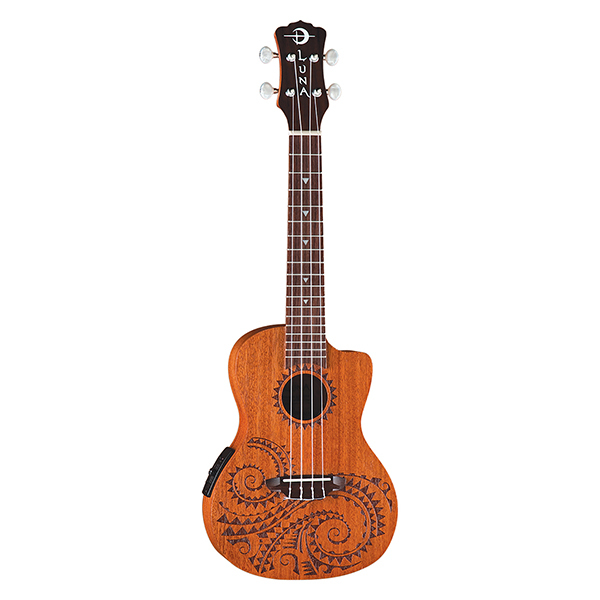 You can stash it in your cubicle, your car, on the coffee table, or wherever you'd enjoy a spontaneous jam. 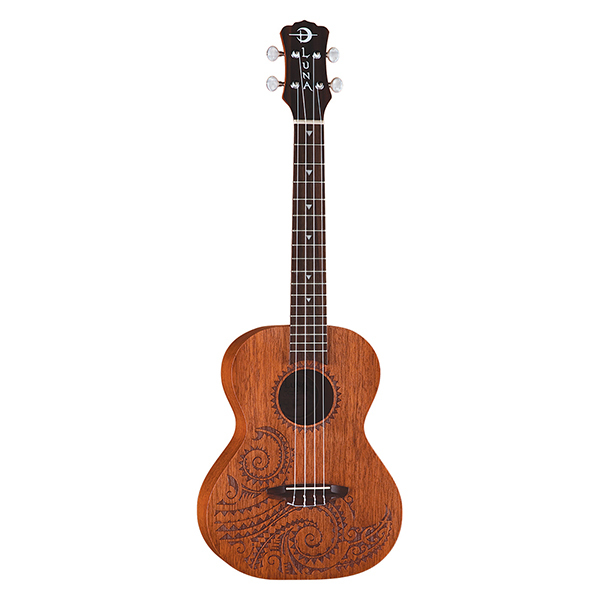 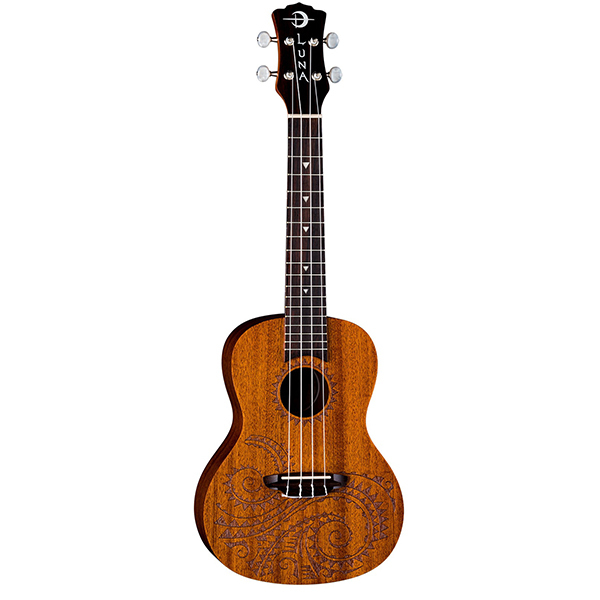 Made of a mahogany top with mahogany back, sides, and neck, and walnut fingerboard, this 30" baritone bodied uke features a beautiful laser-etch tattoo design by henna artist Alex Morgan. 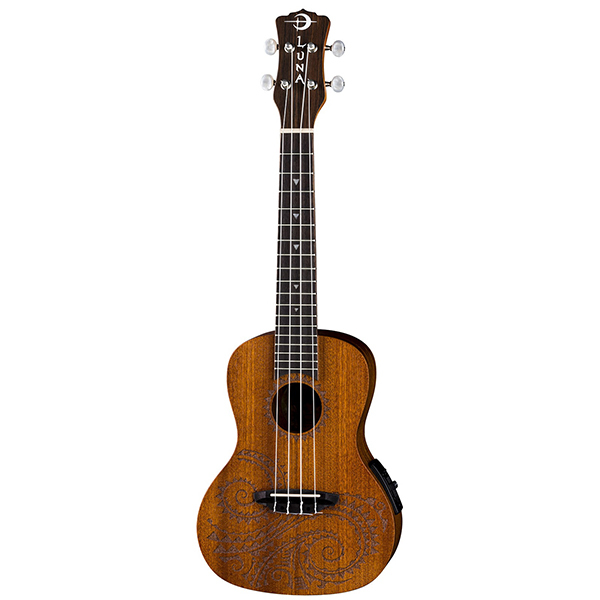 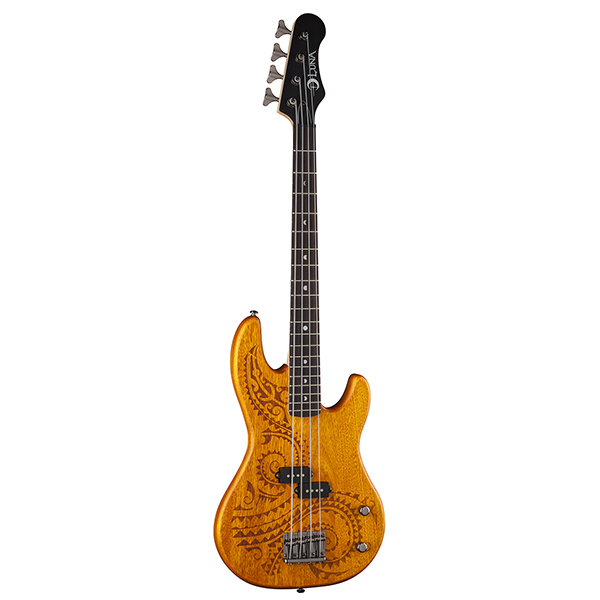 Features include a solid mahogany construction and open gear tuners to help maintain proper intonation.